The minister asserted that since the government made Aadhaar mandatory, they have captured 3.5 crore Liquefied Petroleum Gas (LPG) connections and 1.6 crore ration cards. 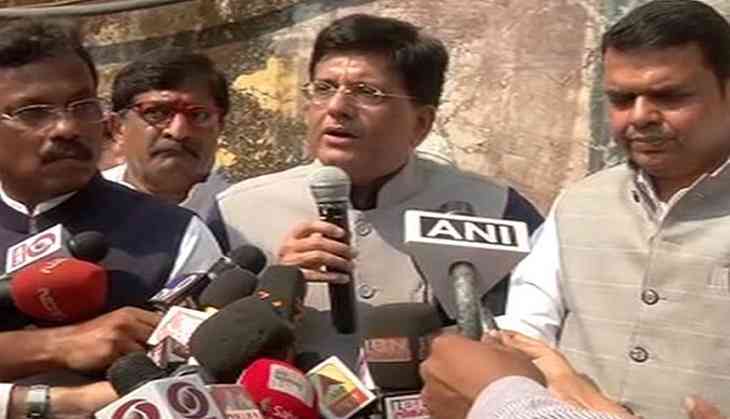 Taking to Twitter, Goyal shared a video and said, "Aadhaar Exposes 5 Crore Ghost Accounts: Govt, after making Aadhaar mandatory, has captured fake 3.5 cr LPG connections & 1.6 cr ration cards." Goyal's tweet came a day after the Supreme Court was to hear a plea challenging the 'constitutional validity' of the Aadhaar Act. Earlier in October, the apex court had referred all Aadhaar cases to a five-judge Constitution bench to be formed by the end of November. The top court had also issued a notice to the Centre on a petition challenging mandatory linking of Aadhaar number with mobile connections and asked to file response within the next four weeks. Due to the increasing number of fraud cases, the Centre, for security reasons, has asked every individual to link their Aadhaar card with the ration card, LPG, PAN card or any other schemes.